On Tuesday, the Union home ministry indicated that it would directly oversee security arrangements for the annual Amarnath Yatra this year, the first time in almost a decade that it's doing so. This decision by the Ministry of Home Affairs came after Defence Minister Nirmala Sitharaman and Chief of Army Staff General Bipin Rawat visited Kashmir to review security arrangements for the pilgrimage, which starts on 28 June. As of now, 211,994 pilgrims have registered for the Yatra this year, Jammu and Kashmir governor NN Vohra was informed by officials of the shrine board on Tuesday. "Registration is being conducted since 1 March this year, and yatris can visit 440 designated branches of Punjab National Bank, J&K Bank and YES Bank located in 32 states and Union Territories across the country," a statement issued by the Raj Bhavan in Srinagar said. The 60-day-long Amarnath Yatra is being carried out under heavy security deployment and the MHA is unwilling to let the state government handle the responsibility of ensuring security. In July last year, militants had allegedly attacked a bus carrying pilgrims in Anantnag. Seven persons were killed, six of them women, while 19 persons were injured. However, the bus was travelling late in the evening, against the advisory issued by the local police. 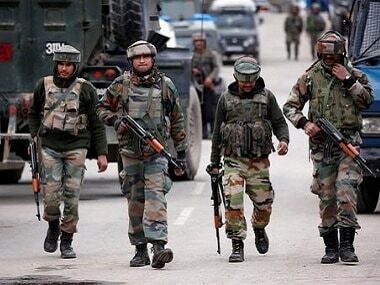 This year, as many as 213 additional companies of paramilitary forces have been deployed to secure the nearly 400-kilometre yatra route, which starts in Jammu and moves on to the two base camps of Baltal and south Kashmir's Pahalgam. 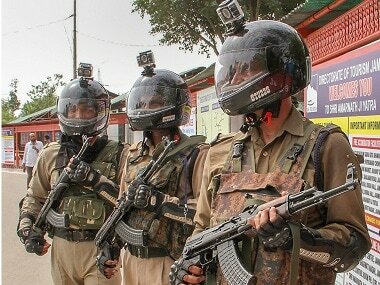 Furthermore, quick reaction teams of the Indian Army and CRPF, in addition to the Jammu and Kashmir Police, will also be deployed throughout the route. Director General of Police SP Vaid said the security arrangements for the yatra are foolproof and a top priority for the police. "The Centre has provided us with the additional forces we asked for," he said. The police had earlier said militants were preparing for an attack on the 36-kilometre-long trek of the Yatra. 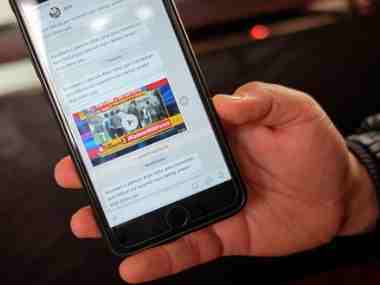 However, the Hizbul Mujahideen later said the claims were "baseless". Riyaz Naikoo, commander of the Hizbul Mujahideen, said he invited Hindu pilgrims to perform their annual Yatra. In an audio clip which Firstpost hasn't been able to independently verify, Naikoo could be heard saying the police and government's claims that security has been heightened because militants are planning to attack the yatra is absolutely wrong and baseless. "We have no plan to attack the Amarnath Yatra, and we will never attack the Amarnath yatris, as they come to perform their religious rites. We have never attacked them in the past and we don't have any enmity with them," he said. "But we want to tell Amarnath yatris that you have no threat from us. You visit without security. You are our guests, but do not try to interfere in the Kashmir issue," he added. For decades, the pilgrimage was undertaken by a few thousand people, most of them sadhus and Kashmiri Pandits, but after insurgency erupted in the Kashmir Valley in the early 1990s, the number of pilgrims visiting the shrine saw an increase. In 2010, over six lakh yatris made the trek. Last year, 2.6 lakh pilgrims offered their prayers at the shrine. The duration of the Yatra has also changed over time. The first batch of pilgrims will leave from Jammu on Wednesday. 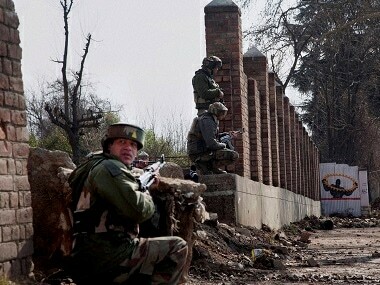 Around 40,000 security personnel from the Jammu and Kashmir Police, paramilitary forces, National Disaster Response Force and the Indian Army have been deployed. Last year's attack was the second time the yatra was targeted by militants, and the first time in 15 years. The previous such incident took place in 2001, when 13 people, including three women and two police officers, were killed after a militant hurled two grenades at the Nunwan camp on the way to the Amarnath shrine. This year, all roads leading to the base camps are dotted with soldiers. 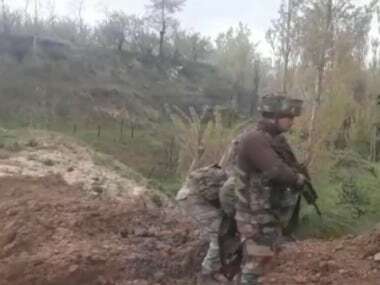 It is almost impossible not to notice the soldiers' presence, leading up from the Jawahar tunnel to the two base camps, one each in south and central Kashmir.